Long Live Vinyl is the brand new magazine dedicated to collecting, enjoying and loving vinyl. The format has seen a huge resurgence in recent years and Long Live Vinyl is the only monthly title that meets musicians, collectors and famous vinyl fans to discuss their passion for owning records. Long Live Vinyl is the perfect showcase for the best new and re-releases giving a broad canvas to highlight artwork and extras. There's never been a magazine like this that celebrates the pure physical pleasure of vinyl. • features on the people behind the artwork as well as the bands behind the music. Get instant digital access to the latest issue of Long Live Vinyl Magazine to read immediately on your PC, tablet or mobile while you wait for the print subscription to arrive. How much is Long Live Vinyl magazine? How often is Long Live Vinyl magazine published? How can I buy Long Live Vinyl magazine? 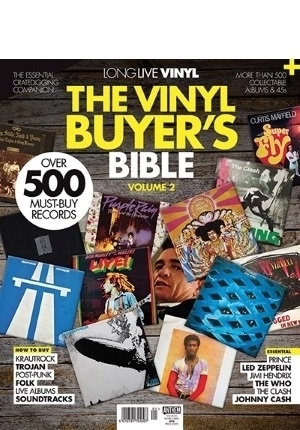 How many issues of Long Live Vinyl magazine are published each year? Who publishes Long Live Vinyl magazine?